Looking to be a part of the magic and join the Double H team? View our summer, seasonal, and year-round employment opportunities we are currently hiring for. Click on each position to learn more! 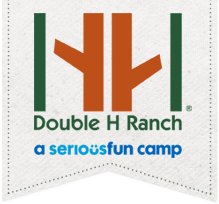 For questions, please contact Kate Walsh at kwalsh@doublehranch.com for Summer Employment and Lisa Boucher at lboucher@doublehranch.org for Seasonal Employment. 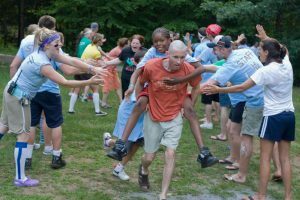 Prior camp leadership needed. 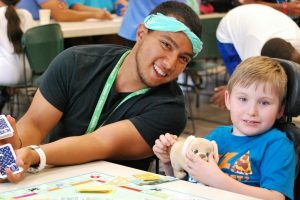 This position is part of our leadership team and works with our Assistant Camp Director to supervise the camp programs. Responsible for the supervision of lifeguards (5) and responsible for knowing all the safety rules and regulations of our indoor and outdoor pool and our waterfront. WSI Certified, Lifeguard Certified, CPR Certified required. 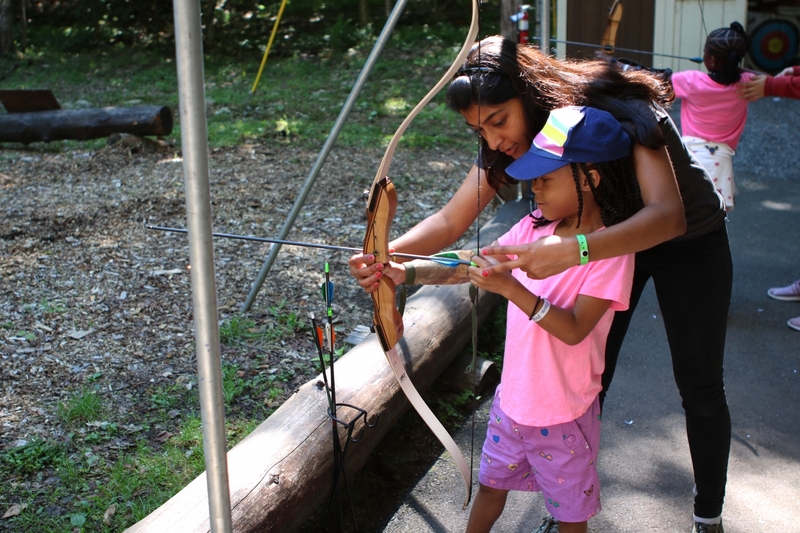 The Archery Instructors are responsible for creating engaging and creative programs for kids centered on archery. 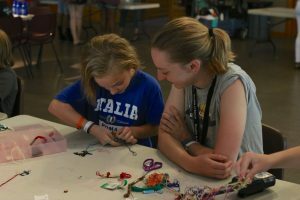 The Arts and Crafts assistants are responsible for creating engaging and creative programs for kids with a focus on arts. Responsible for the supervision of the arts and crafts instructors, management of supplies and implementing activities for our campers. 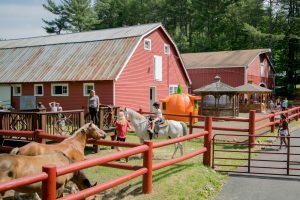 4-5 barn assistants are hired to work together to care for our animals and implement a safe and fun program for our campers including horse back riding and small animal care. Responsible for the supervision of the barn assistants, animal care, scheduling of vet appointments and arranging animal feed deliveries. Responsible for documenting the week at camp through photo and video. Must have experience in photography and creating slideshows. 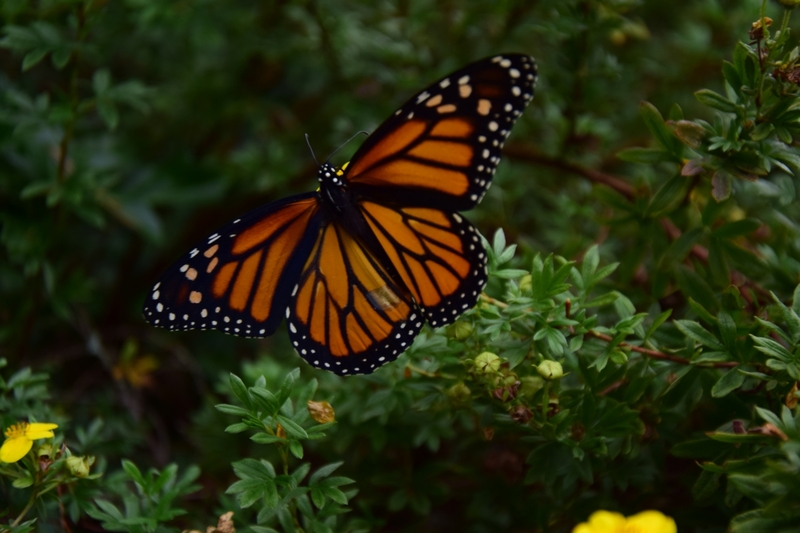 This position is responsible for creating and implementing programs for kids with a focus on photography and journalism, they will work closely with our Photographer. 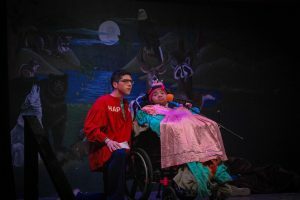 The Creative Arts staff member is also responsible for the facilitation of the weekly session talent show. 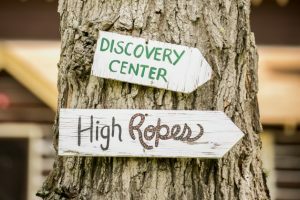 The Discovery staff are responsible for creating engaging and creative programs for kids with a focus on hands on science. 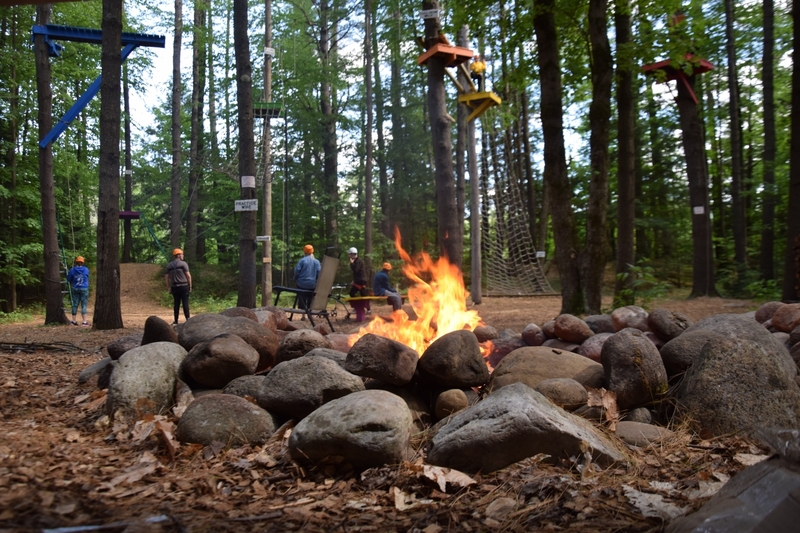 4 High Ropes Assistants are hired to work together to implement a safe and fun experience for our campers at the high ropes challenge course. Training is provided but experience is necessary. Supervises Ropes Staff. 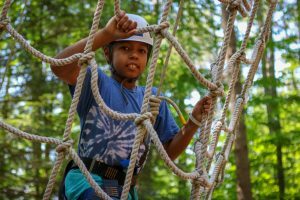 Must have experience working at a challenge course and supervising staff. Must be willing to provide feedback to staff and volunteers in a professional manner. Must be willing to participate in safety training and keep all ropes participants safe. This position is part of our leadership team and works with our Assistant Camp Director to help with our CIT program and Counselor Support. 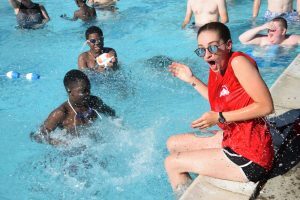 5 lifeguards are hired to work together to implement a safe and fun experience for our campers at the indoor/outdoor pool and our waterfront. Lifeguard certification and CPR certification are required. 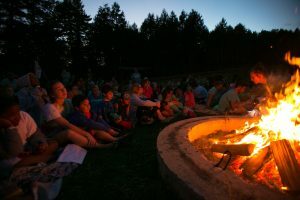 The Outdoor Extreme staff are responsible for creating engaging and creative programming for kids with a focus on outdoor education and environmental awareness. 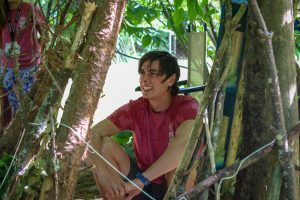 The Team Adventure staff are responsible for creating engaging and creative programming for kids with a focus on sports and recreation and team building skills. We hire 80-85 counselors each summer. 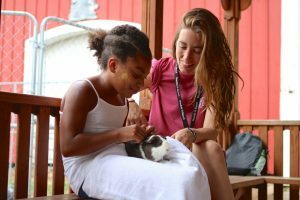 Counselors are responsible for day-to-day care of campers, providing a safe environment for themselves and our campers, motivating campers to participate in camp activities and providing a fun camp experience for our campers. Prior camp leadership experience encouraged. 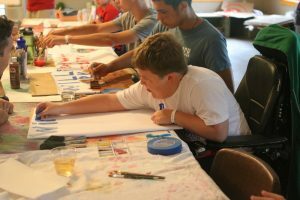 Ten Unit Leaders are hired each summer to supervise one of our cabins. 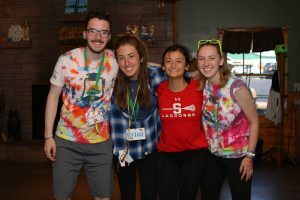 Unit Leaders are responsible for supervising the counselors in their cabin, the volunteers and the campers. 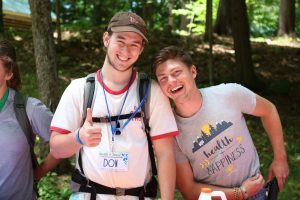 Unit Leaders work closely with the leadership team and medical team throughout the summer. 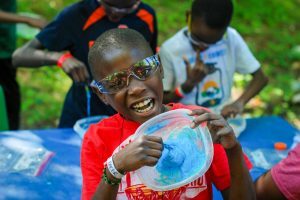 Our Housekeeping staff must meet the needs of our program by providing clean and sanitary facilities for campers and staff to engage in camp activities and to reside in. Other cleaning duties as needed. This is a seasonal position that is anticipated to begin May 2019 and end in August 2019. The position is expected to average 40 hours per week with work days scheduled as necessary and will include weekends. No criminal conviction record related to the treatment of children. This position provides evening and overnight coverage during our summer program. The Security Guard is responsible for ensuring the safety of our campers and staff throughout the entire evening. 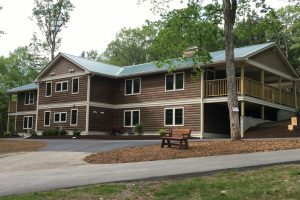 This involves hourly rounds of the property, monitoring of camper cabins to ensure campers aren’t leaving the buildings and staff supervision. 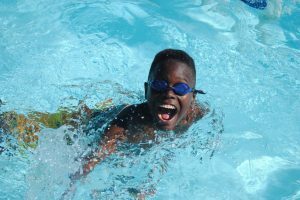 This position would require overnight shifts 10 – 6 every night while camp is in session, so this would be a set schedule and includes weekends.